Three great matches in the first round of 2019: Barcelona-Oliveirense, Lodi-Porto and Sporting-Liceo. They can redesign all the standings after the end of 2018. In WS Europe Cup will be decided the best eight teams of the season. Another amazing night with the European Rink Hockey with 12 Live games: in the Euroleague will be played the 4th Matchday of the Groups Stage with the schedule of three big matches that could redesign all the standings or could confirm all the results of the december. 10 matches in live streaming on www.cers-rinkhockey.tv, 2 on Youtube. First of all Barcelona – Oliveirense for the Group A: in december Oliveirense beats the catalan team and now the spanish will have the chance, ahead of their supporters, to return in first position. Sporting-Liceo is the second big match of the day: Sporting with another victory could be the first team to take the qualification to the Quartersfinal. Porto instead will have the return game in the difficult rink of Lodi (Group C): the portoguese team wants to win for amoring the qualification to the next round. In the Group D also Benfica could take the qualification of Quartersfinal against Noia, already beaten on december. In WS Europe Cup will be decided the best eight teams of the second europen competitions. Three games live on www.cers-rinkhockey.tv and 1 in Youtube. The most interesting game will be Voltregà versus Juventude Viana: in december was ended with a draw. The title-holder Lleida Llista has 5 goals to defende their title against Girona. The italians Viareggio, Valdagno and Sarzana have the possibility to gain the qualification, together with Igualada and Wolfurt. Coutras will need an incredible game in own rink for overturn the two 2 goals suffered against Nantes in the 1st leg. 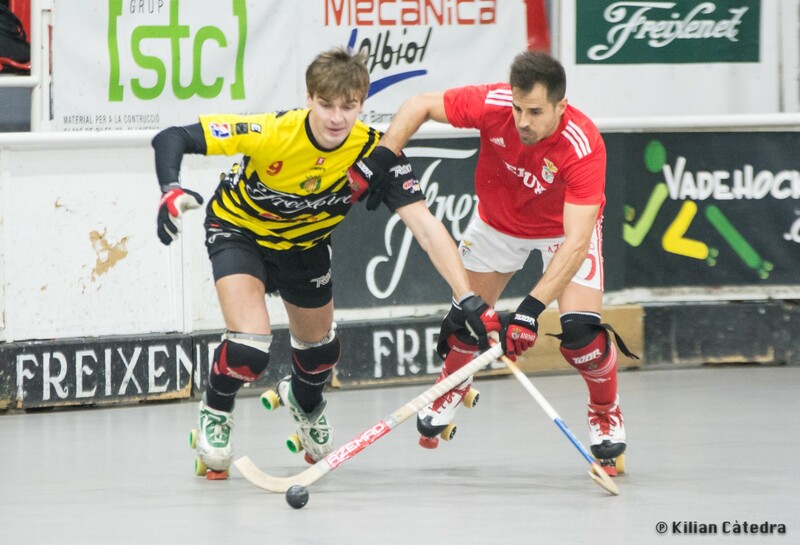 All the clubs, from this sporting season, will upload all the entire matches of all the european competitions in our Youtube Channel www.youtube.com/cersrinkhockeytv .